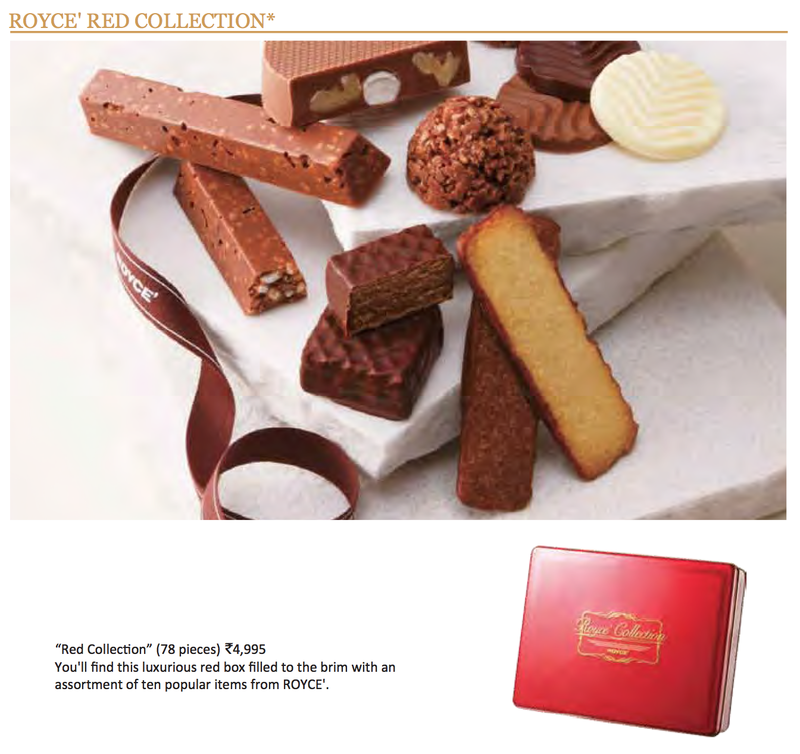 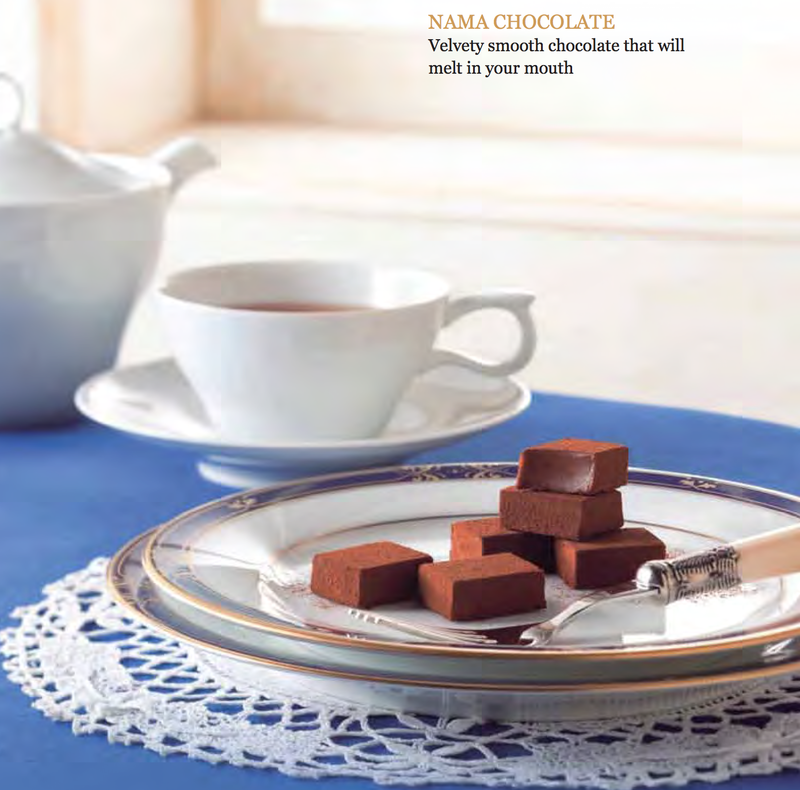 Japan's luxury chocolate maker.... Royce enters India's booming gourmet food business with outlets at the Palladium mall in Lower Parel and JW Marriott’s, Bangalore. 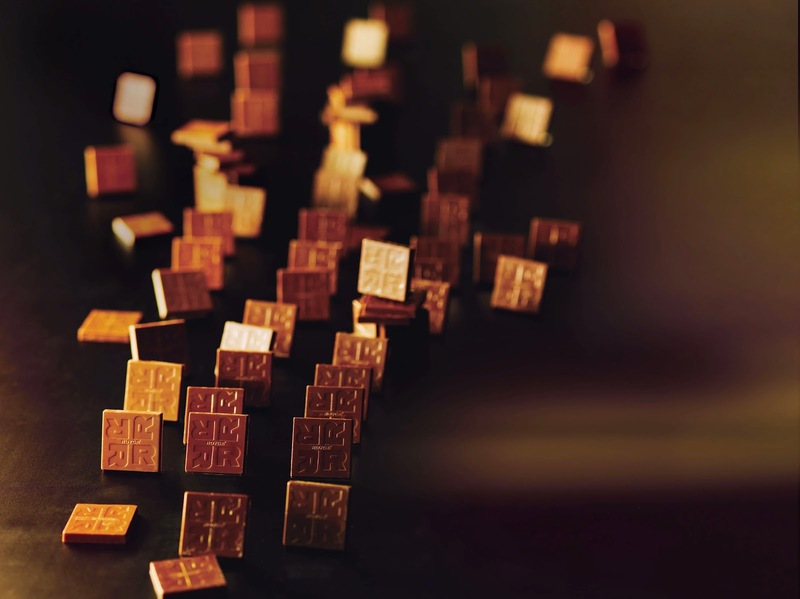 melt-in-the-mouth flavoured cocoa, in flavours like au lait, bitter chocolate, Ghana bitter, Ecuador sweet and maccha green tea. 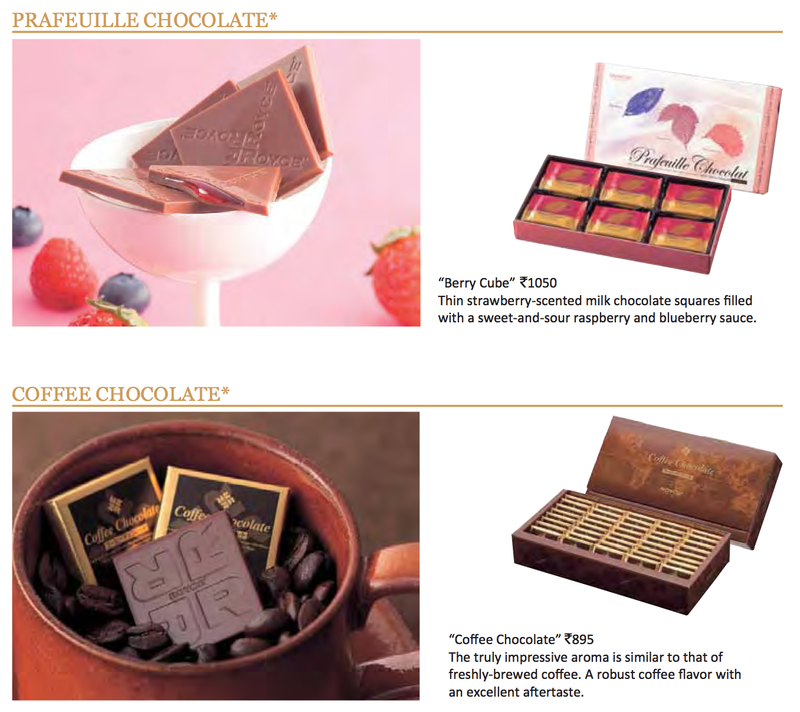 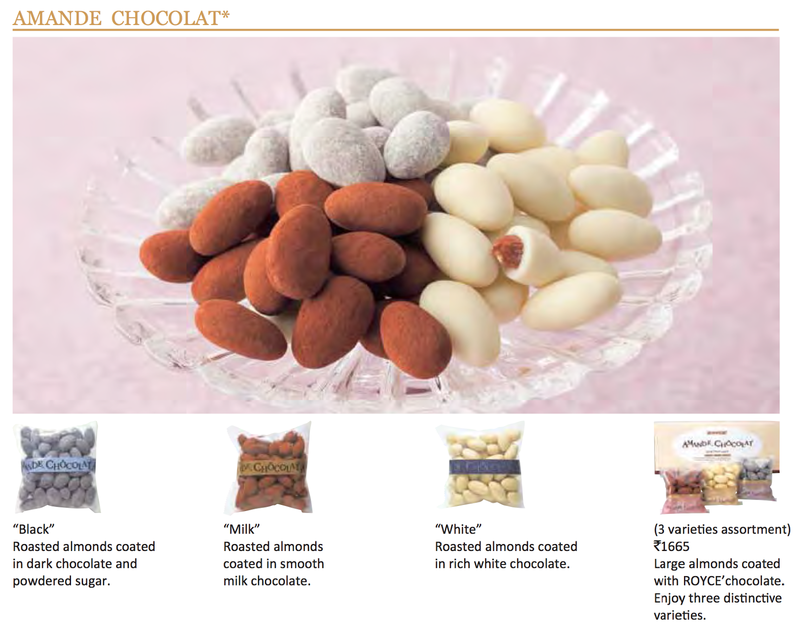 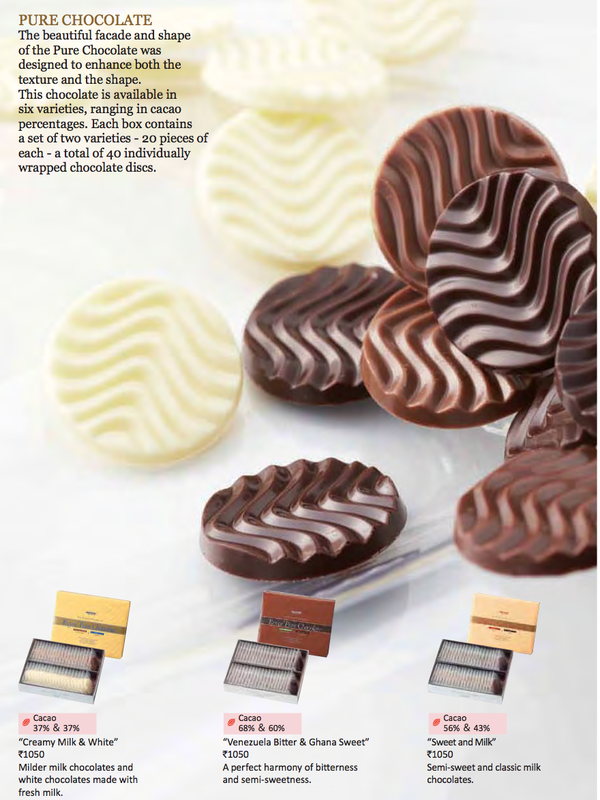 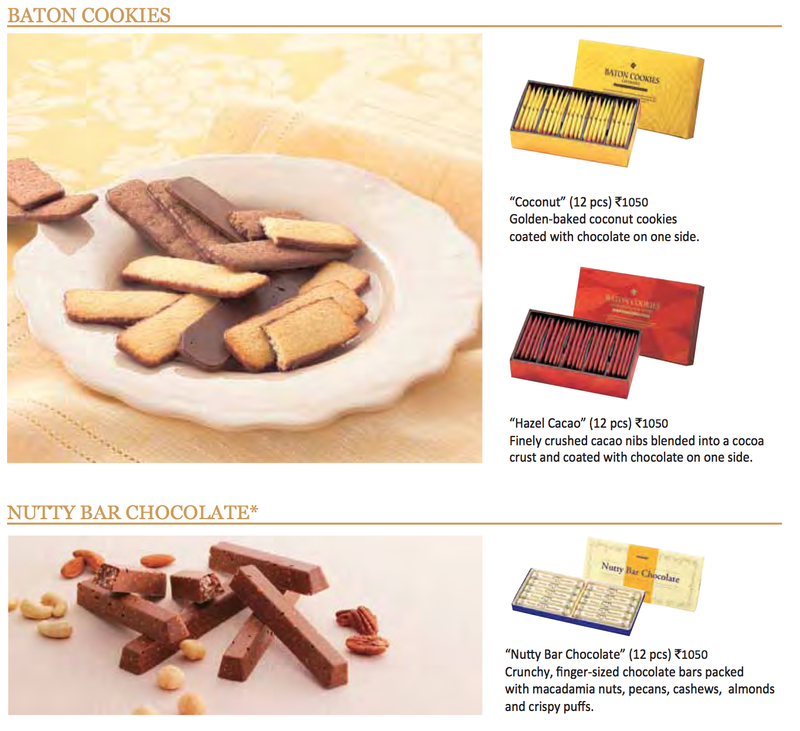 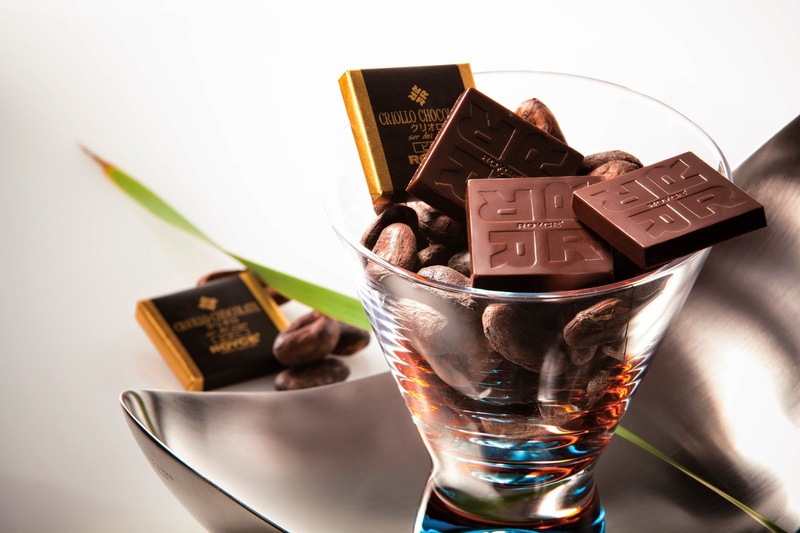 In addition, its more unusual offerings include chocolate covered potato chips in three variants, coffee chocolate and “Prafeuillie” – thin chocolate squares with a gooey berry filling.